We thank Bos et al. 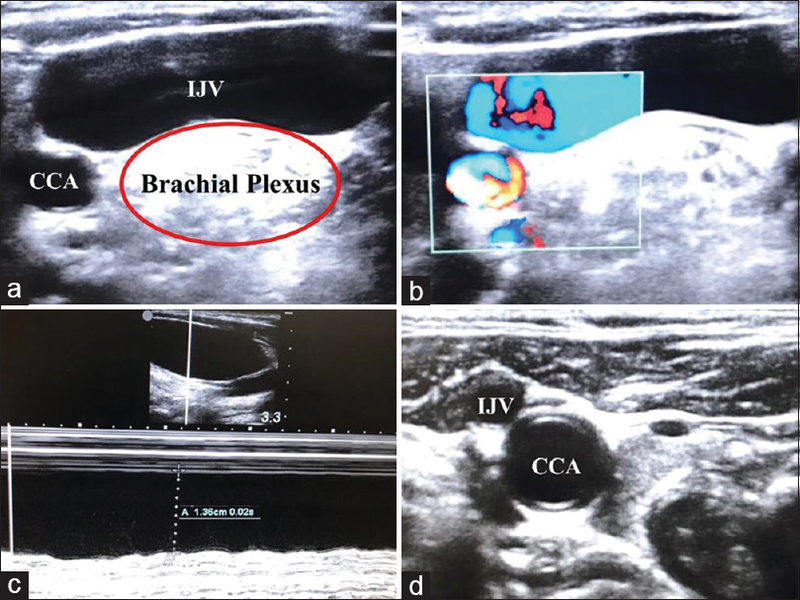 for their interest in our case report 'Unilateral giant internal jugular vein impeding brachial plexus nerve block'. They had very astutely estimated the diameter of the internal jugular vein to be over 5 cm and it was indeed 6.2 cm. Unfortunately we do not have the image measuring this at present. With regard to [Figure 1] in our case report, the image provided, shows the internal jugular vein, common carotid artery, and the brachial plexus. As Bos et al. have correctly stated this is not the supraclavicular location for a brachial plexus block. However, the same large internal jugular vein anatomy was continuing into the supraclavivular fossa impeding the line of approach to the brachial plexus. The image of the same is also unfortunately not available at this time. The paper by Lin et al., as again rightly pointed out, does not give the incidence of unilateral giant internal jugular vein, but as a whole the incidence of unilateral anomalies. We could not find the frequency with which a unilateral giant internal jugular vein occurs during our literature search. We provided the Lin et al. reference to give the readers an idea as to what percentage of the anomalous internal jugular veins occur unilaterally. And hence it is a giant internal jugular vein which is much rarer. Bos M, Van Zundert AA. Giant internal jugular vein. Indian J Anaesth 2019;63:329-30. Feissel M, Michard F, Faller JP, Teboul JL. The respiratory variation in inferior vena cava diameter as a guide to fluid therapy. Intensive Care Med 2004;30:1834-7. Jardin F, Vieillard-Baron A. Ultrasonographic examination of the venae cavae. Intensive Care Med 2006;32:203-6. Ganesh V, Naik BN, Kajal K. Unilateral giant internal jugular vein impending brachial plexus nerve block. Indian J Anaesth 2019;63:72-3.